This a further example of imaging with a DSLR and tracking mount and highlights the faint green ‘airglow’ emission produced by oxygen excited by ultraviolet emission from the Sun. Kerry in Ireland boasts one of only three ‘Gold Tier’ Dark Sky Reserves in the world along with those in Namibia and South Island, New Zealand. The reserve is in Ireland’s far south-west and is largely surrounded by the Atlantic Ocean so, not surprisingly, is one of the darkest locations on Earth. It seemed an ideal location from which to image the Milky Way so I planned a trip to attend the ‘Skellig Star Party’ in late August 2016. It takes place in the village of Ballinskellig and having travelled there via the ‘Ring of Kerry’, stayed for the two nights of the event at the star party’s base, Skellig Lodge. Following an excellent barbeque on the Friday evening the participants set up telescopes and cameras on the lawn in front of the lodge but, sadly, the skies never cleared. During the Saturday there were a number of astronomically themed talks in the village pub as we hoped for better success the second night. 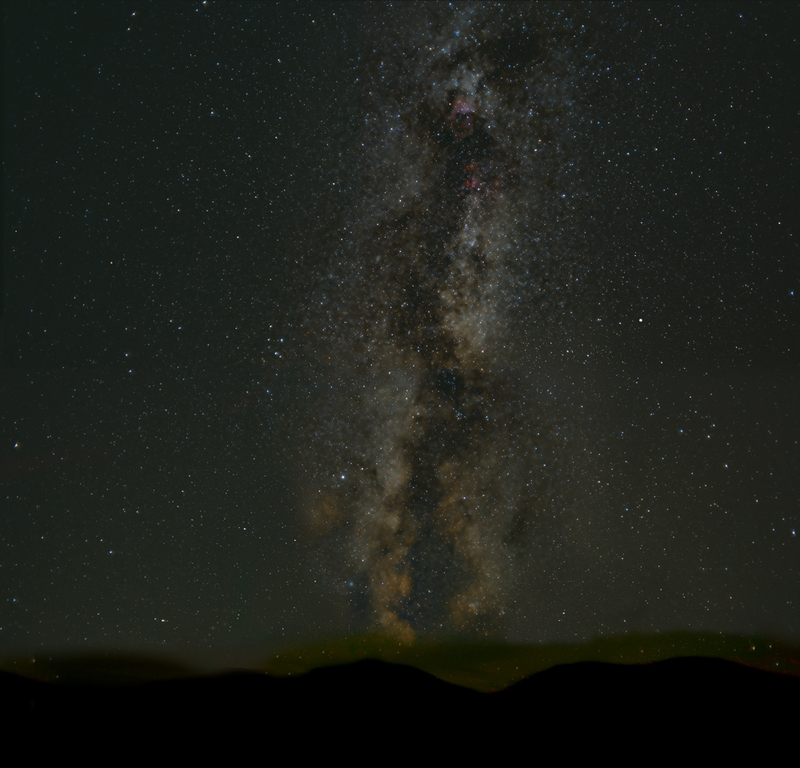 Initially the sky was overcast but, soon after midnight, it cleared and the Milky Way could be seen dropping vertically down towards some nearby hills. I had taken a full frame Nikon camera equipped with a Tamron 24mm, f/2.5, lens and set this up on a tracking mount aiming to take a number of ‘landscape’ shots at increasing elevation to combine into a vertical panorama of the Milky Way. For each horizontal pane, 20 minutes were spent taking 30 second exposures which would be later stacked in Deep Sky Stacker. The tracking mount that I used was the StarSync Tracker which is discussed in the digest article ‘Three Astrophotography Trackers’. The visibility of the airglow depends on the Sun’s UV flux and thus varies during the solar cycle being most prominent around solar maximum when, at worst, it can reduce the limiting magnitude by two thirds of a magnitude. 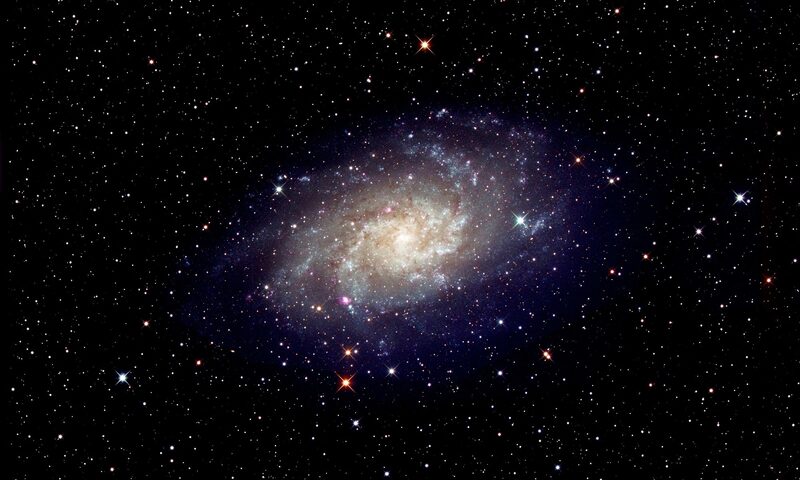 As the emission comes from height of about 50 km, this affects all earthbound telescopes and is one reason why the Hubble Space Telescope has surprisingly high sensitivity given its relatively small aperture. One suspects that it is only under really dark skies that airglow would make its presence felt! 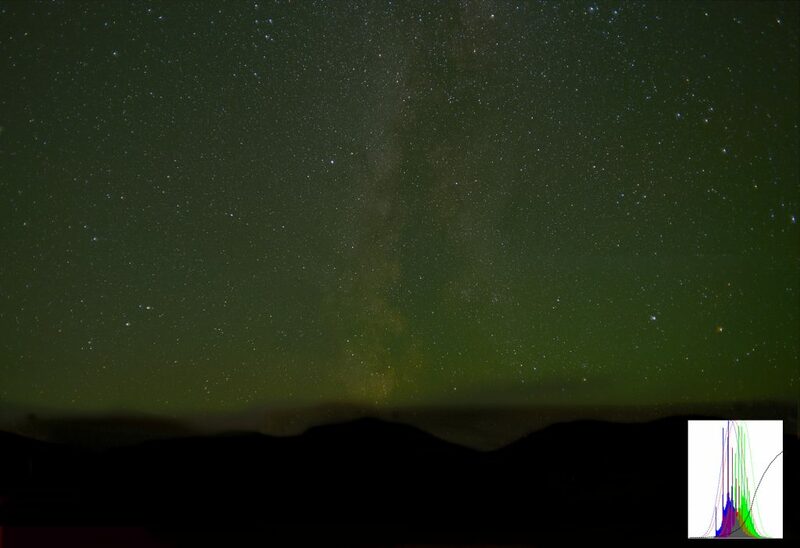 Having stitched three panes into a vertical panorama I was able to largely remove the airglow by using a ‘medium’ application of an Adobe Photoshop filter plugin called ‘Hasta la Vista Green!’ (that can be freely downloaded from http://www.deepskycolors.com/) to give the final result. 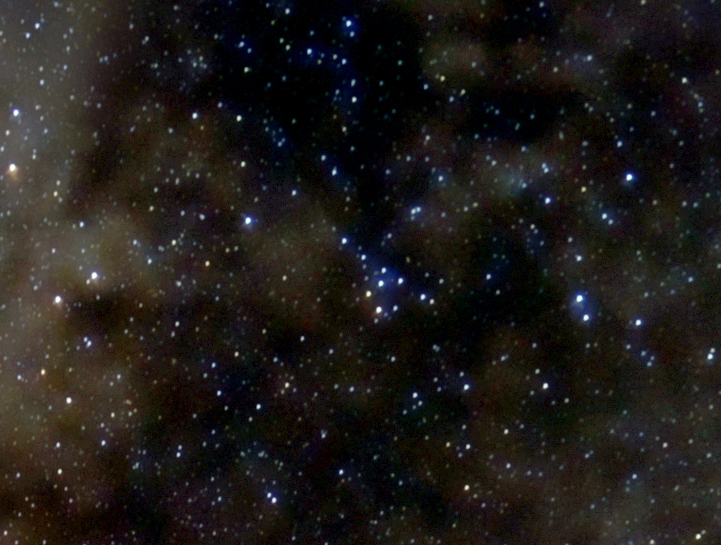 Altair, in Aquarius, is to the lower left and, moving up to the right towards Vega in Lyra mid-right, can be seen the ‘Coathanger’ or ‘Brocchi’s Cluster’ in the Cygnus Rift region. 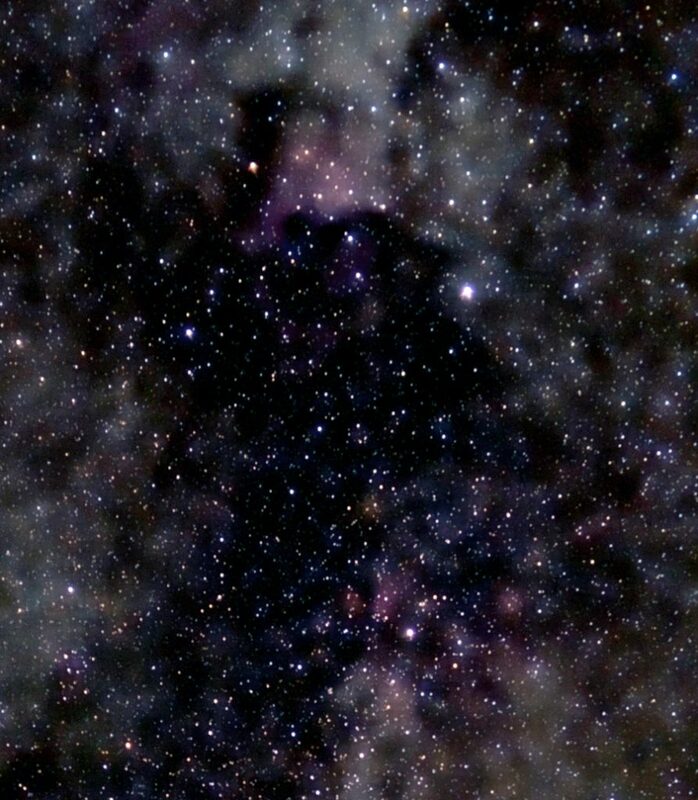 The constellation Delphinus lies mid-left and Deneb, in Cygnus , towards the centre top. Deep red H-alpha emission shows its presence in the regions of the North America Nebula to the upper left of Deneb and the Butterfly Nebula close to Sadr, Gamma Cygni, just below. As the night drew on, I took a further set of exposures to include the Cassiopeia and Perseus constellations which lay high overhead so that airglow was not obviously visible. Digital images tend not to appear as attractive as film images due to the fact that the brighter stars do not stand out as well. I thus made a layer of just the brighter stars (using the ‘Levels’ tool to remove the fainter stars from the original image) then applied a ‘Gaussian blur’ to expand their size (but reduce their brightness) and finally brought the brightness back with the ‘Brightness/Contrast’ tool. This ‘bright stars’ layer can then be incorporated into the original image by copying and pasting it over the original image and flattening the two layers using the ‘Screen’ blending mode to give the final image below. 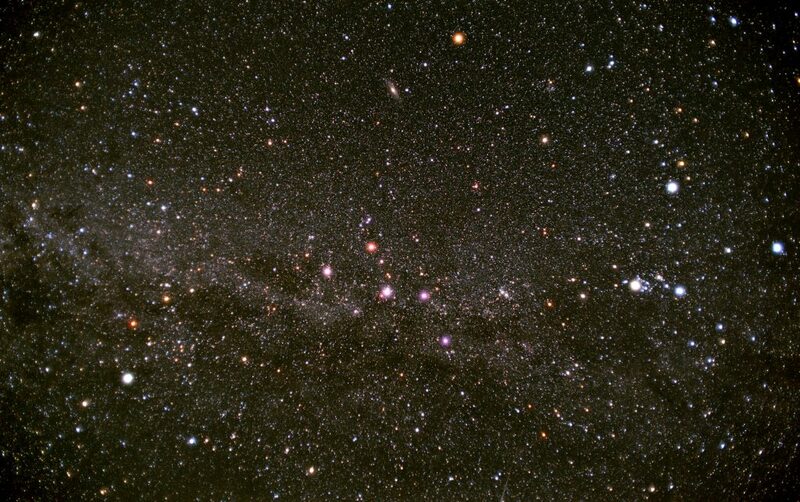 The Andromeda Galaxy can be seen above Cassiopeia.